Feeling bloated? What you eat (and don’t eat) on a daily basis may be the reason for this common GI complaint. Beans and cruciferous vegetables like broccoli, cauliflower, Brussels spouts, and cabbage contain a complex sugar called raffinose. Raffinose is harder to digest than other sugars, so the intestinal bacteria have to work hard to act on these undigested foods, producing gas as a by-product. But don’t pass on these beneficial foods to avoid bloating. Simply add higher fiber foods to your diet gradually so that your body gets used to them. Or take Beano enzymes to help digest these complex sugars. There’s a reason why we need to pre-soak beans. Soaking helps to release gas into the water. So do not keep this liquid. The same goes for whole grain pasta. You may notice more froth or bubbles in your pot of whole grain pasta after boiling. Don’t re-use this pot of water! Indeed, I often rinse my whole grain pasta with cold water before adding pasta sauce. A sudden influx of salt makes your body retain water. Packaged foods and fried foods have higher level of salt. The recommended level of sodium intake is ~2,300 mg a day. But a serving of canned soup, for instance, can give you 800 mg of sodium alone. Even worse, instant noodles may top 1,800 mg of sodium in just one serving. 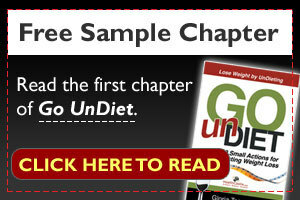 Eat less fast food and processed food (I called them highly-processed foods, aka HPFs in my book Go UnDiet). They are often loaded with sodium! Fresh, whole foods are usually high in potassium. Potassium can actually counter the effect of too much sodium by making your kidneys excrete it! Check this post on Top 20 High Potassium Foods. Sugar alcohols are a type of sweetener, commonly found in chewing gums or other sugar-free products. Sugar alcohols are partially digested, causing your intestinal bacteria to produce gas as a result. To find out if your packaged foods contain sugar alcohols, look for ingredients ending with an “ol” – sorbitol, maltitol, xylitol, etc. Have you ever wonderd why you often find a slice of ginger in your Beef & Broccoli dish from your favorite Chinese restaurant? The Chinese believe that ginger should always be paired up with gas-producing foods in order to create balance. Ginger is a gas-reducer, as well as a gut motility stimulant – helping your gut move food faster and hence reducing the time for gut bacteria to react to food residue (gut bacteria actually ferment indigestible food and produces gas). If you are not sure if you want to swallow that slice of ginger, at least chew it a bit to release some juice. Otherwise, try tossing a slice of ginger in your pot of soup, eat that pickled ginger with your sushi, or enjoy a cup of ginger tea after your meal! Lactose intolerance is more common than you think. If you feel bloated or have diarrhea (more severe) within an hour of eating dairy, you may be lactose intolerant. Lactose is a naturally-occurring sugar found in dairy products. People with lactose intolerance lack a specific enzyme – lactase – needed to digest lactose. But don’t give up milk – lactase enzyme pills or lactose-free milk will do the trick. If you don’t eat high-fiber foods often, a sudden high-fiber meal may cause you to feel bloated. As suggested above, gradually add fiber to your diet and you can avoid bloating as your body adjusts to your new diet. Occasional bloating is unlikely to do your body any harm. But if you suffer from frequent bloating, or abdominal pain after meals, speak to your doctor.